Using Email Subscribers plugin, you can import your existing list or export the current subscribers list to use it somewhere else. Using import option, you can import all your previous subscribers via a formatted text file (CSV) and get started. Step 3 : Click Choose file button in the page to upload CSV file. 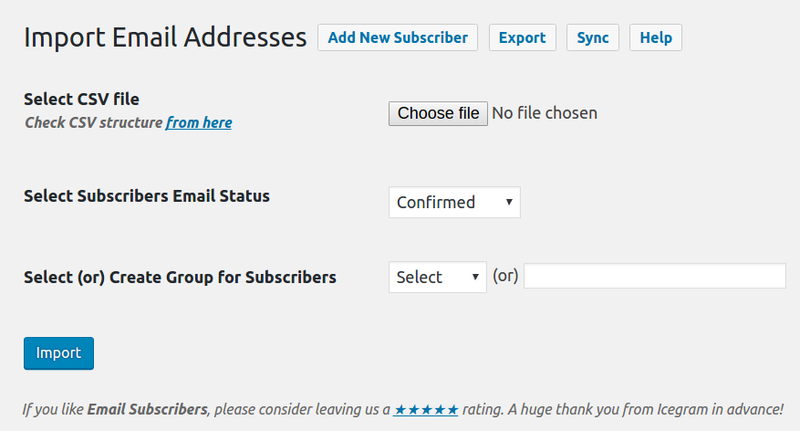 Step 6 : Click on Upload CSV button to import / upload your subscribers data. That’s it! Your list is now imported. Using export option, you can download all the users into a formatted text file (CSV) for later import on another site, or for using particular emails of it in your ordinary mail client, or for migrating your WordPress site to another server. Step 3 : Click on the list that you want to export. That’s it! 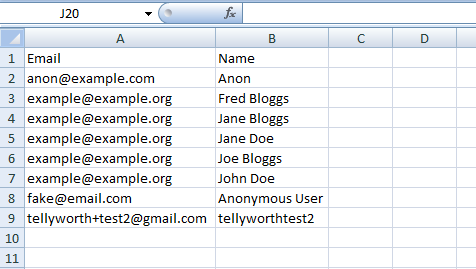 Your list is exported in CSV format. 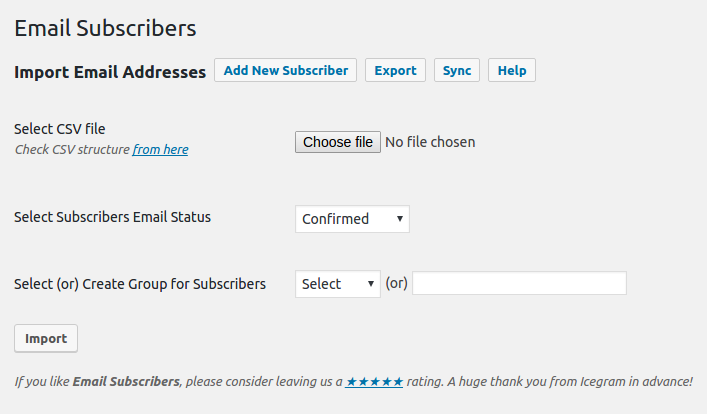 How to move subscribers list from some other plugins (or WordPress users) to Email Subscribers? That’s it! You have moved your subscribers list to Email Subscribers.